Luxury homes at Silly Creek, Providenciales. A beautiful day at Sapodilla Bay Beach. Before a decision is made to move, we advise taking advantage of the maximum visitor stay that the tourism visas allow. There are many considerations, and many of the country’s aspects may not be apparent during a brief vacation visit. During your stays, talk to local people of all walks of life, so you’ll have a better understanding of the issues and concerns affecting our local inhabitants. The Turks and Caicos is a developing country, and as such some aspects of life can be different than other countries. Freight, shipping, post and courier services are expensive and sluggish, some governmental services and departments may operate at a slow pace, and crime remains a concern. Yet, the incredible beauty and marine environment, warm climate, and the lack of an income or property tax are definitely compelling. 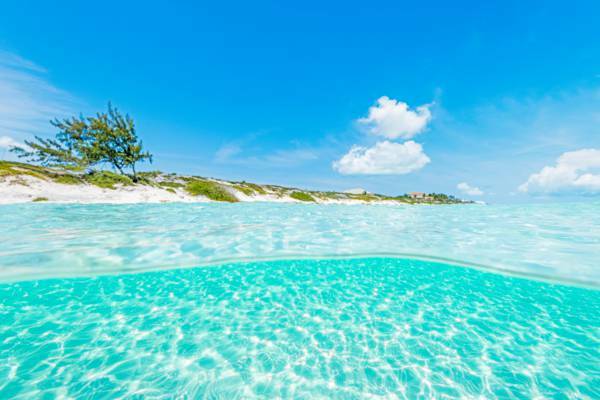 The Turks and Caicos is an archipelago of several islands, and each of our islands offers a different atmosphere and varying levels of development. It’s best to discover the entirety of what our archipelago offers, especially before committing to a house or real estate purchase. The island of Providenciales supports the vast majority of the development in the country. Most of the stores, infrastructure, accommodations and utilities are found here. Our smaller islands have varying levels of development. 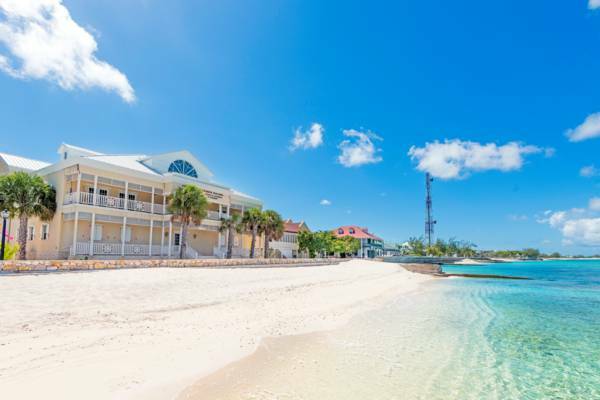 Grand Turk tends to have a little of everything, yet the remaining inhabited islands and cays can be restrictive in terms of general amenities, services and communications. A Turks and Caicos Islands Passport. There are five basic elements or types of legal residency or status in the Turks and Caicos Islands: work permits, temporary residency permits, Permanent Residency Status (PRC), Turks and Caicos – British Overseas Territory Citizenship (BOTC), and Turks and Caicos Islander Status. 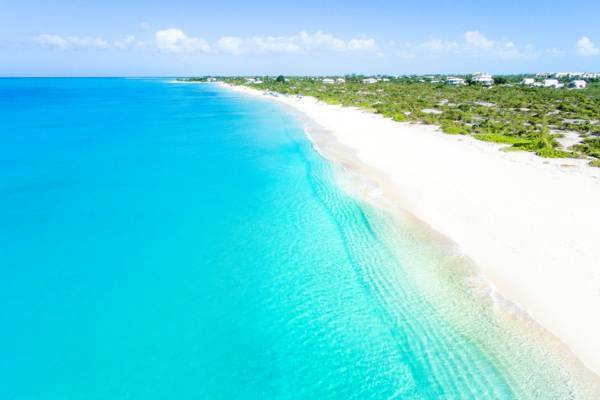 The greatest hurdle to overcome to working in the Turks and Caicos is obtaining non-tourism immigration or residency status. The majority of working foreigners in the Turks and Caicos obtain initial status through a work permit. If you’re looking to retire or live in the country without local employment, it’s simpler to obtain temporary residency or homeowner status with investment, yet be aware that time spent in the country under such status may not count towards obtaining a PRC. Criminal records, and certain medical and mental health issues may be grounds for rejecting applicants. Citizenship and voting rights in the Turks and Caicos are a bit different than they are in many other countries. It’s a very difficult and lengthy process to reach the point where one is eligible to vote and holds all rights associated with starting and owning businesses. 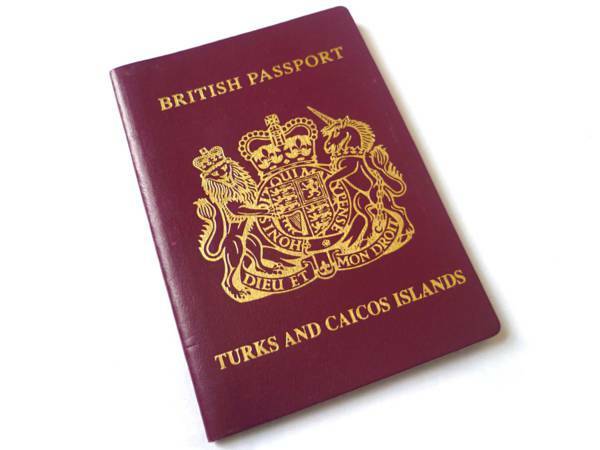 To obtain a TCI Passport, one must hold Turks and Caicos – British Overseas Territory Citizenship. To be eligible to vote and to be free of employment and business restrictions, one must be obtain Turks and Caicos Island Status. This requires a minimum of 10 years residency (5 years for marriage to a Turks and Caicos Islander).. 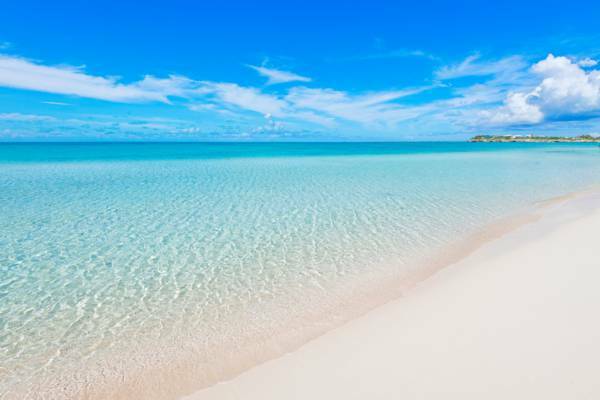 The clear waters at Long Bay Beach, Providenciales. As a developing country, skilled persons in many academic, engineering, medical, speciality, and other fields are often absent or lacking in the Turks and Caicos, and work permits for such skill sets are often granted. In most cases, a local business or employer will have to advertise locally for the position. If no qualified person in the Turks and Caicos applies for the job or is found, then a work permit will typically be approved. There are fees for work permits, and these can be significant depending on the category of the work permit. Different occupations carry various fees, which range from under $1000 up to $9500. Work permit fees are intended to be paid by the employer, yet, as may be expected, such fees factor in to salaries. Work permits are typically valid for 1-2 years, and may or may not be renewed after expiration. 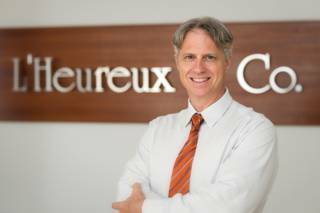 After 10 years of uninterrupted residency in the Turks and Caicos, one may apply for a PRC. A temporary annual residence permit may be granted in the case of persons with independent means or an outside income, who have made a qualifying investment in a home or business in the Turks and Caicos. The investment amount must be a minimum of $500,000 on the island of Providenciales and West Caicos, or $250,000 on any of the other islands in the country. Temporary residency permits must be renewed every year, and cost $1,500. Many of the government offices are located at the country's capital of Cockburn Town. Permanent Residence Status, or PRC as it’s commonly referred to as, may be granted after 10 years of residency in the country, or in some cases, after significant investment. PRCs may either allow the right to work, or may not, depending on the category the document was applied for under. When the PRC includes the right to work, it may be restricted to a certain category, or may be unrestricted. Under the residency route, an applicant may apply after ten years of legally living in the country. The fee for a PRC obtained under the residency class is $10,000. There are additional provisions and accommodations for children, and for widows and widowers of a Turks and Caicos Islander or holder of BOTC. Under the investment PRC route, the status can be applied for after investment in a house, business, or public sector project. This class of PRC carries a $25,000 fee. In the case of a house or residence, the minimum investment is $1,000,000 on Providenciales, or $300,000 on the remaining islands in the country. In the case of a business investment, the minimum is $1,500,000 on Providenciales, or $750,000 on our other islands. 60% of employees of such a business must be not be work permit holders. The minimum investment in a public sector project is $1,000,000, and other certain approvals and conditions apply as well. PRCs granted under the investment category typically do not include the right to work. If the intention is to be employed in the country or be involved with an invested business, it will be necessary obtain a work permit. Hakuna Matata Villa at Long Bay, Providenciales. Investment in a home is a common route to residency status. As a British Overseas Territory (one of 14, others including Bermuda, the Falkland Islands and Gibraltar), citizenship and passports are issued under the UK Crown. The actual citizenship associated with our country is British Overseas Territory, and our passports have "British Passport" and "Turks and Caicos Islands" on the covers. After 5 years of legal residency, and if the applicant is free from immigration controls (typically a holder of a PRC), one may apply for Turks and Caicos – British Overseas Territory Citizenship. This process actually takes place through the United Kingdom Home Office, and although submitted to a local immigration department, the application is typically forwarded through the Governor’s office. The final step is Turks and Caicos Islander Status, or belongership as it’s commonly known as. This status confers voting rights, unrestricted working and business ownership rights, and eligibility for Crown Land grants and other considerations. There are two common ways to obtain this status, through marriage to a Turks and Caicos Islander, or for those that hold either British Overseas Territory Citizenship or United Kingdom Citizenship and are free from immigration controls, applying after legally living in the country for 10 years. In order for an employer to qualify for a work permit for an expatriate worker, the job position must be advertised in a local newspaper. Both the TC Weekly News and TCI Sun are available online for viewing. The local Turks and Caicos Hotel and Tourism Association also operates the Career Portal, an online repository of jobs and candidate CVs. Unfortunately, there are no provisions in the law for temporary volunteer visas. For volunteering, the same route and process of obtaining a work permit would have to be followed. To operate a business in the Turks and Caicos, it’s necessary to obtain a business license. There are many categories of such licenses, and many are restricted to majority ownership by a Turks and Caicos Islander. As previously mentioned in this article, the various types of immigration permits and status may or may not confer the right to gainfully be employed in the Turks and Caicos. It’s necessary to clarify such issues before investing. For immigration, business and real estate, it’s common to obtain assistance from a local attorney when navigating the legal requirements, and with submitting applications and documents to the various governmental departments. Vacant and beachfront real estate can be found on all the main islands in the Turks and Caicos. Due to the lodging and vacation rental demands of the tourism industry, apartments and lodging is both expensive and difficult to find, especially on Providenciales. Many one bedroom apartments inland start at rates of around $1000 per month, and condos in a Grace Bay resort can be multiples of that. On our smaller and outer island, rates can be much less. The purchase of a home or real estate is often a catalyst for establishing a life in the islands. There’s a tremendous selection of vacant real estate and finished home to choose from, with beachfront, ocean view and inland sites to choose from. There is a one-time Stamp Duty transfer tax with property purchases. As with many other aspects of life in the Turks and Caicos, construction isn’t cheap. The construction cost of a simple house often start at about $250 per square foot, and easily be double that. 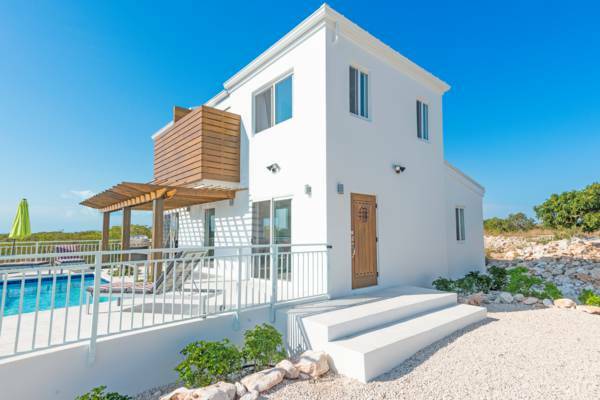 However, due to the booming tourism and private home market, there’s a wide selection of architects, civil engineers and contractors on Providenciales. Many retirees and expatriates in the Turks and Caicos live here for part of the year, and it’s common to have a residence rented as a vacation lodging when the owners aren’t present. The typical practice in this situation is to use the service of a villa manager and booking agency. South Dock, Providenciales. 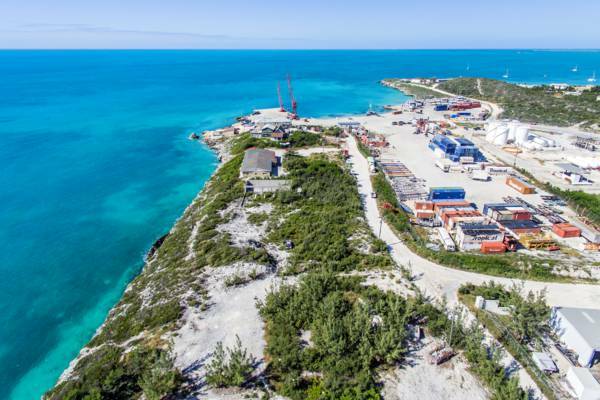 The Turks and Caicos does not have a deep water port, so ocean freight is more expensive than at other destinations. There’ no getting around it. The Turks and Caicos is a very expensive place to live. Groceries, auto fuel, utilities, and almost everything else as well will often be around twice as costly as is common in the United States or Canada. There are several ways to save when moving to the Turks and Caicos. An example is the customs duty exemptions on personal household items of persons moving to the country, which is 7.5% of value (versus 36% on most typical imports). There are a few banks to choose from on Providenciales and Grand Turk. The options on our smaller islands may be quite limited. The Turks and Caicos does not have any public transport, so in most cases it will be necessary to purchase a car. When importing a vehicle, keep in mind that customs duty rates are based off of engine size. Small displacement diesel vehicles make financial sense; they are taxed under the lowest customs percentage bracket, and they tend to be very efficient, so you won’t spend a lot at the fuel pump. Driving on Providenciales can be frustrating due to the number of poor and reckless drivers. Some of our boutique islands, such as Pine Cay, Parrot Cay, Ambergris Cay and Salt Cay, largely utilize golf cart and bicycles due to their small size.